Proofreading is an important part of the writing process, and even more so with ESL proofreading and ESL writing. The only way that you'll get better at anything is by doing it, making mistakes and learning from them. It’s important to be able to find your own mistakes and correct them. You won’t always have someone to read your writing and correct it for you, like you do when you’re learning ESL writing with a teacher. When you’re using English in your work place or for study you need to correct your own writing. You can do this in the final phase of the ESL writing process,the finalizing phase. Here you’ll proofread your writing to improve it. There’s plenty of information about proofreading in the proofreading section of this website where there are checklists and several techniques to help you with your ESL proofreading. Proofreading and copyediting is the process of finding any mistakes that are left in your document. These could be to do with the spelling, word choice or grammar. Most of the revision of your writing happens in the writing phase of the writing process, so when you start to proofread you should just be improving the language used and not rewriting extensively. The page about ESL grammar lists some of the areas that many ESL writers have problems with. When proofreading check for these problems in your own writing as well as any areas you know you're weak at. Also make sure you don’t have any typos, all sentences start with a capital letter and end with a full stop, exclamation mark or question mark. 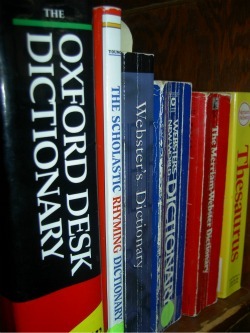 Some of the proofreading techniques are more important and useful for ESL proofreading than others. Always print your document and double space the lines before starting to proofread. As English is not your native language and you might not be fully fluent in English this'll give you something to read and write notes on when proofreading. It'll also allow you space to rewrite any parts that need changing. By printing the document you'll see many more mistakes than you would if you’d only proofread on a computer screen. Also work in an area where you won’t be distracted and proofread your document several times. Each time look for a different mistake. This will help to focus your mind on the specific type of mistake. As you are only looking for one thing at a time you'll be more likely to find any mistakes. Remember that good proofreading takes a long time. Leave plenty of time to read your document before you need to submit it. If you're running out of time and are stressed, you won’t be able to proofread the document as well as if you’d got plenty of time. If all else fails you can use my proofreading service to help you get your documents perfect before publication or submission. I have extensive experience of ESL proofreading, see the page about me . If you want to, you can try a free trial of my service before deciding if you want me to proofread your whole document. For any help you can visit the Excellent Proofreading and Writing Facebook page. I’m happy to answer your questions or offer advice on this page.